Litsea Cubeba Oil is obtained from the small pepper-like fruits of the tree. This is a refreshing, uplifting and stimulating essential oil with antiseptic, carminative and healing properties. This oil is often used to help dispel flatulence and indigestion, and to treat skin disorders such as acne, dermatits, greasy skin and spots. It is also considered to be useful in cases of nervous stress, high blood pressure and arrhythmia. Used in the bath or shower litsea cubeba may aid tissue toning and reduction of cellulite and help to cleanse the system. This is a mixture of Terpene hydrocarbons and has fresh, citrus, terpenic odor. It is a colorless to pale yellow clear liquid. Used in household products, colognes, shampoos, soaps, and detergents. Lovage Root oil is obtained by steam distillation from the fresh roots. An amber or olive-brown liquid with a rich, spicy-warm, root-like odor. It is used as a fragrance component in soaps, cosmetics and perfumes. The oils and extracts are used as savoury flavoring agents and in liqueurs and tobacco. Mace oil is extracted from the arils of the mace fruit. The Mace tree is a member of the Myristicaceae plant family. It is a pale yellow clear liquid. Mace oil is used in soaps, lotions, air fresheners, aromatherapy products, incense, spa products, medicines. This oil is cold pressed from the unripened fruit of the mandarin tree and is expressed to produce a green oil. The scent is described as tangy citrus, with a fresh, sweet, green note. It is a digestive stimulant and mild antispasmodic. It is a tonic for the stomach and is used to calm the intestines. It is also stimulating to the liver and can help to regulate metabolic processes and may also aid the breakdown of fats. This oil is cold pressed from the unripened fruit of the mandarin tree. Yellow Mandarin is particularly floral and sweet and beautifully complements heady white floral notes such as Jasmine Sambac, Tuberose Absolute and Orange Blossom Absolute. It has a beautiful, floral-citrusy scent. Mandarin Yellow Italia Oil has a beautiful, yet slightly bitter aroma as compared to other citrus oils. This is a unique aroma which will display interesting results in natural perfumery. his scent calms the mind, helpful for anxiety, nervous tension, insomnia, restlessness. It is soothing, calming, refreshing, uplifting. Spain Oil is derived from the plant. The entire plant is extremely aromatic. This oil is widely used in perfumery and spice applications. It has a fresh sweet spicy eucalyptus camphor like odor. It is a pale yellow to orange amber clear liquid. Mentha oil is derived from a plant named Mentha arvensis or common mint. Mentha oil is extremely useful in a wide variety of industries namely food industry, pharmaceutical industry and also in perfumery and flavoring industries. Also, the constituents and derivatives of mentha oil like mint and menthol are used widely. Menthol is the major derivative product of mentha oil. Mentha Piperita India Oil is an essential oil which is being used in various applications like perfumes, cosmetics, analgesic balms, ointments, lotions, creams, tooth paste shampoos and conditioners. This oil is derived from the leaves of Mentha Piperita plant. Mentha Piperita USA Oil is anti-fungal, anti-viral, and anti-bacterial, as well as anti-inflammatory. It is a strong digestive and is helpful for nausea. It is used for many respiratory problems including flu, bronchitis, asthma, and pneumonia. It is a fever reducer, but also stimulating. A must have for headaches and migraines, and will also relive a stuffed up head. Peppermint is a liver tonic and re generator. This oil is Steam distilled from the flowering tops and leaves. It has fresh, bright, penetrating minty top notes and sharp green camphorous undertones. It blends well with lavender, rosemary, eucalyptus and lemon. 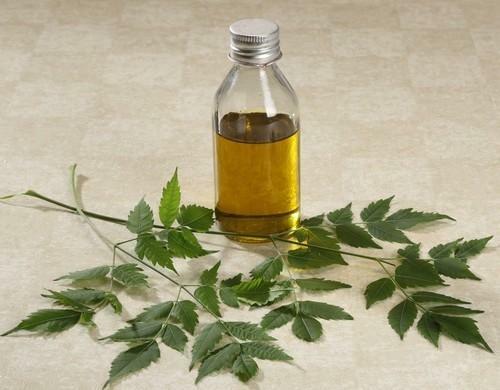 This oil is used in food products and medicines. The essential oil of Myrtle is a natural astringent with balancing and harmonizing actions to the skin making it useful in cases of acne and oily skin in particular.It is a mildly sedative oil, can be helpful for those with difficulty sleeping especially those with insomnia. It may be helpful in the cessation of smoking as the green color is associated with the heart charka and helps to release blocks associated with the emotions.